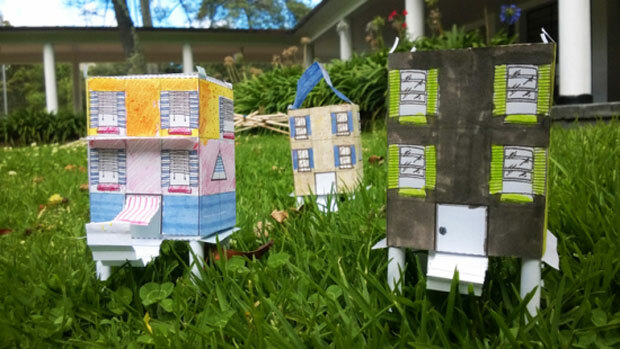 A few weeks ago we were chatting with the directors of the The AAAA Magazine on the “difficulties” of starting a publication, but and if we him add that it is a magazine of architecture for children? And if we start it from San Sebastian and Helsinki? The result of this challenge is Amag! 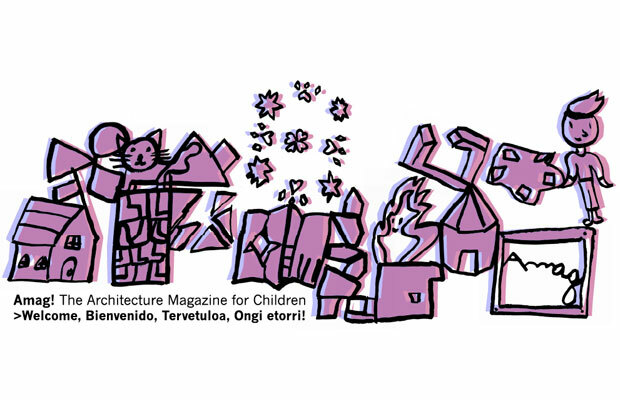 Architecture Magazine for Children, a project developed by Maushaus (study formed by the architects Anabel Varona and Carlos Arruti) and Osa Menor (Constituted by Jorge Raedó). From his creation in 2011 they have collaborated and informed professionals and institutions of Finland, Sweden, Denmark, Germany, Italy, Spain, Portugal, Poland, Serbia, Croatia, Slovenia, United Kingdom, Burkina Faso, Egypt, Tunis, Colombia, Peru, Argentina, Chile, USA, Canada and Japan. His international diffusion has propitiated collaborations with different institutions in the whole world that they help to his diffusion in colleges, stand out entities as ACVIC, Centre d´Arts Contemporànies, Alvar Aalto Museum, Arkitekturmuseet, Arkkitehtuurikeskus, Canadian Centre for Architecture, Laafi, Fundación Museo Jorge Oteiza, Museo de Arquitectura Leopoldo Rother, Museo degli Innocenti and ProxectoTerra. Ado preambles we leave you with the interview to three bands and two countries of for way that we had the opportunity to realize, with these “teachers and editors”. Which has been your formation and professional path before Amag!? Jorge Raedó: I studied karate from 11 to 21 years. First with the teacher Kozo Mizoguchi and then with the teacher Yoshi Hirota. This formation is essential. Now I teach art to children as I learned Karate, which is a Martial Art. That is to say, I transmit technologies and passion for the trade. I studied three courses of architecture in the Top Escola Tècnica d’Arquitectura and in The Sapienza with a scholarship Erasmus. I worked a few months with the architect Josep Llinàs. Finally I left the studies of architecture and studied Dramatic Art, speciality of Dramaturgy and Stage management in the Institut del Teatre of Barcelona. I was employed ten years at the Catalan theatre as the director, playwright, figurinista, set designer, illuminator, translator and producer. In 2008 I started teaching art to children and to it I devote myself till now. Maushaus: We study in the ETSASS. We are formed especially in the study Rulot (founded in 2001), in that we learned the profession especially with illusion and freedom, while we were sharing this life, also with other works (in the study of Rock Ganchegui and Partners, in case of Anabel, and giving class of art, in case of Carlos), that were allowing us the above mentioned freedom, and in that also we learned and grew, to be able later to do what today we do: Education of architecture and art for / with children. 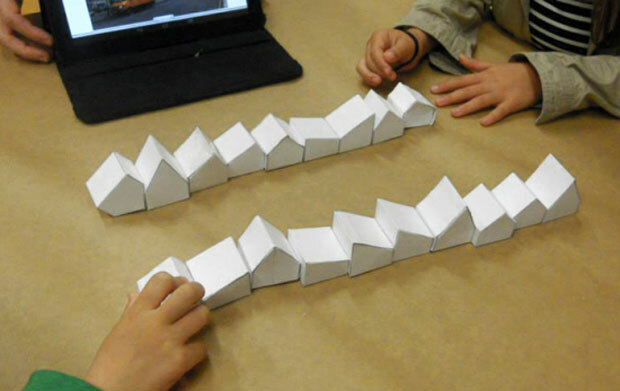 In 2009, we found Maushaus, designing a course of architecture for children that one has consolidated and grown in the shape of more courses, occasional workshops, collaborations with museums and schools… To all that we might add our gait as parents of two creatures, which it has been very illustrative, for the knowledge of the world of the infancy. Jorge Raedó: I had the idea of doing a magazine of architecture for children from I was doing years, but in Barcelona it did not become set. It was in 2011 when I knew Maushaus de Donosti and they wanted to collaborate. We met in Helsinki where we did meetings with specialists as Jaana Räsänen and Alexander Reichstein. There we define the name, the idea of the pdf to come out and to play … We Release the magazine in January, 2012. What did lead you to opening way you in the publishing world? For what magazine in “these times” and focused on architecture for children? Jorge Raedó: The architecture of the 20th century and the XXIst is constructed in the mind of all based on magazines, books and movies. What the stories tell us, and the magazines count stories of what is the architecture, it is what ultimately we believe as reality. Amag! is an educational free resource in Internet (Open Educational Resource) with a format to which we call magazine because it is constituted of articles – games. In 2012, 2013 and 2014 the articles were to play with the paper … it is to say, is a magazine to start and to play. In 2015 the articles are videoes that propose games. The aim is that the best specialists of education of architecture and art for children come to all the children of the world. Clear, the children need connection to Internet. Amag! 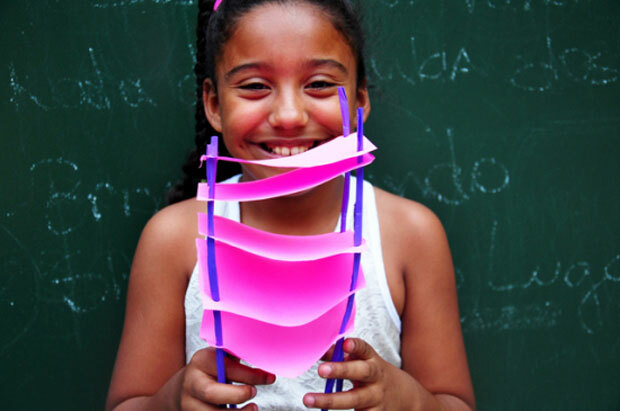 Architecture Magazine for Children … a game in order that the children develop skills psicomotrices, spatial and aesthetic across the game. Had you some previous experience in the publishing world? Jorge Raedó: It was experienced with an Open Educational previous Resource, the project “What is An Architecture?” That consists of videoes and workshops. There I saw that the difficult thing is to come to the children, not to create the content. Maushaus: We were experienced at collaborations of topics of architecture in fancines of philosophy as Neolithic Revolution, of graffiti Word and the Diverse magazine realized by the students of the ETSASS. Jorge Raedó: The principal problem is the lack of financing. We do Amag! Without money. The first two years the Proxecto Terra from Galicia donated 1500 Euros per year. Maushaus: During this time, contacts have arisen with publishing houses already consolidated to edit the magazine Amag! In paper, but at the moment, given the absence of economic means, these conversations, they have not given his fruit. Today per today, we continue, in a sustainable way, with the digital edition, working all free. All of us, direction, edition and columnists, we believe in the project, contributing our experience and knowledge, in the world of the education of architecture and art for children by means of this magazine, which we believe necessary. The most recomforting part, it is to form a part of this network that is established between all the collaborators of the whole planet, and especially, when the feedback becomes visible. Jorge Raedó: We are satisfied with the desires that have professionals and institutions of the whole world in taking part in the creation of content. On the other hand cost more that they use the material proposed by Amag! Maushaus: We know that the magazine is in use, it is read and we think that it influences the area of the professionals who devote themselves to the education of architecture in the infantile area. We do not know so clearly, if it comes to the colleges and to the families. We would like that this feedback was richer. About knowing that we are useful, that the people enjoy and learn with what we do, is what more we like. What expectations and projects of future you have for Amag!? Jorge Raedó: We want to publish the version “in paper” of Amag!. A box with a selection of articles of 2012, 13 and 14. We will extract it if we find financing. 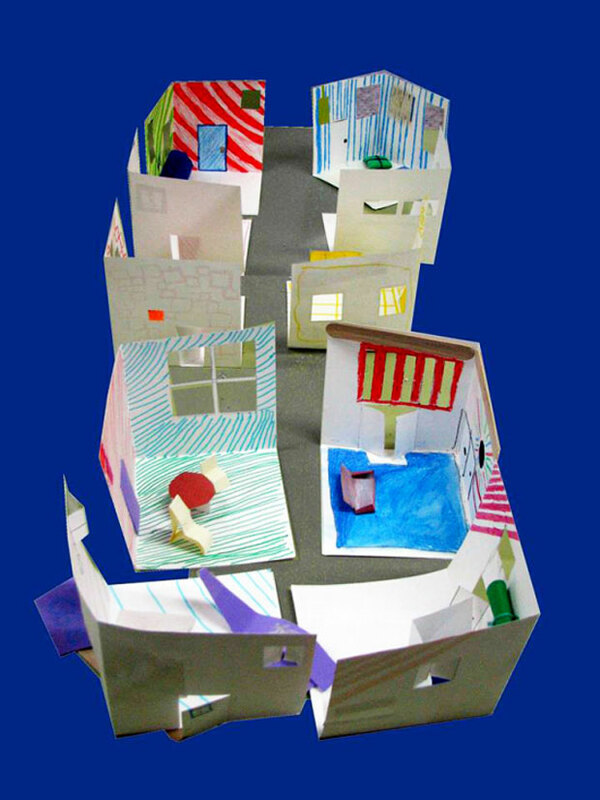 Also we want to publish more books online for children on architecture. Till now we have published “I Want to be an architect” of Alberto Campo Baeza. Jorge Raedó: This way of working does not generate benefits because the product is free for the user. The only way of being satisfied would be with public or private financing that was paying the work that demands us, and to pay the collaborators. The idea of putting price to this type of educational product is a mistake. In many countries of the world only the private colleges and the rich families might pay it. The good education has to come to all the children trying equality of opportunities. 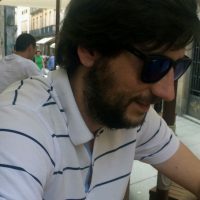 Jorge Raedó: Together with Amag! I do other projects of education of art for children. From alive 2011 in Finland where I do operas with children of colleges. I collaborate with museums of several countries. I advise America several organizations as Red OCARA de Latino América. I write articles about my work with children in the magazine online FronteraD. 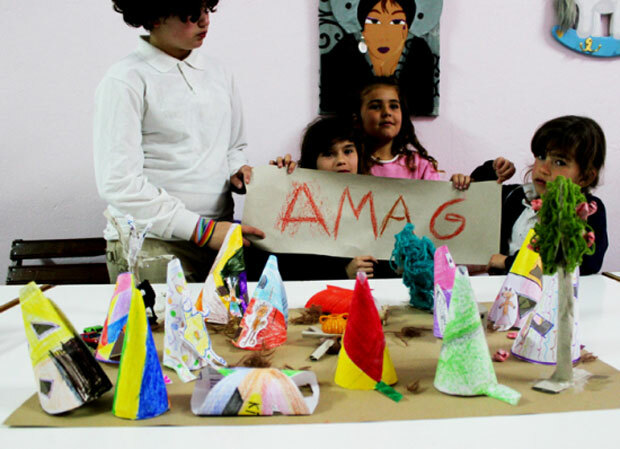 Maushaus: We, we are employed at our workshop – school with the children, at courses of architecture. Also we advise to the Museum Guggenheim of Bilbao, in both courses of architecture that we adapt for his department of didactics. 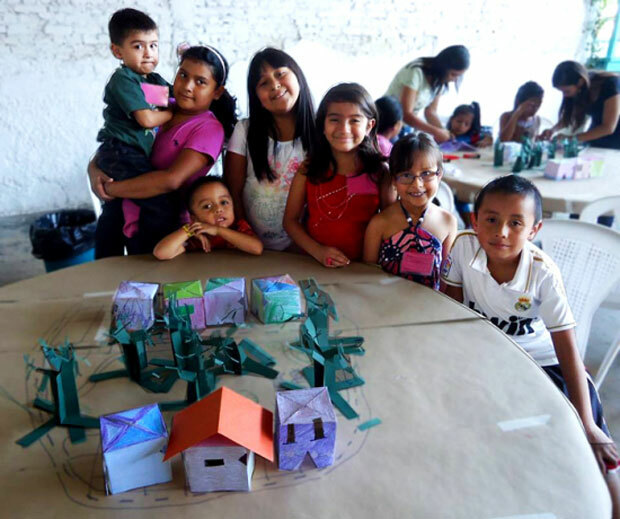 We arrange this labor, with occasional workshops and projects of urbanism with children in the city of San Sebastian. Likewise, we realize collaborations with artists, always looking for the link, of other arts, with the space and the architecture. We go a time already, seeing that to arrange the work of education of architecture for children, with the professional traditional practice, is almost impossible. They are two different professions. To ours to deal, if you want to do the things well, it is necessary to choose a way. We already have chosen. Today it is the day that we say to certain works that not. It yes, as it is said, we survive, that today per today it is not small, but with an infinite effort! How do you see the future of the publishing world? Jorge Raedó: I have small idea of the publishing industry. While someone wants to tell things to the others, there will be channels in order that the communication exists. They will be different from them of now to adapt to the paces and technologies of the peoples and cultures. The book of paper will continue existing because it is unbeatable as useful object. But it will be minority for a simple reason: in the homes there is no site to guard them. The book and digital magazine is the logical evolution. Though his purchase and reading continues being cumbersome. The digital product allows audio-visual materials and metadatos that the paper does not admit. Jorge Raedó: For my professional path it is clear that to study architecture had medium incident. Maushaus: In our case, certainly. 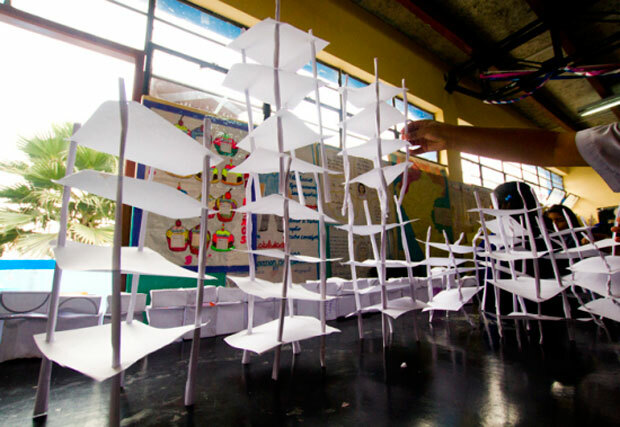 The exercise of the architecture, the participation in the contests, the teamwork and the search of the essence of the things to solve a program or a complex problem, has trained us definitively at the moment of designing a workshop, a scenery or an object. Later, they have been them niñ@s, those who have taught the rest to us. First they were our daughters, with whom we continue learning day after day, and then them children, that during these years, they have shared his hours with us. Jorge Raedó: Though the wind blows for all, every person goes a different place. If they study architecture in Spain, irremediably they will have to take vitamins of Literature, Art, Philosophy … or will walk blindly. “Slope much to be a certification”. Jorge Raedó: Yes, it is obvious. Not only because now there is an economic crisis and they cannot construct, but because the Spanish architect is caught in a very limited role. Jorge Raedó: I was to Finland because a Finnish association contacted me to collaborate. Do not be how work is looked abroad from Spain. The only method that I know is to begin a project of collaboration with another country, to construct the bridge and then to cross it. Maushaus: We have not had this opportunity, temptation, freedom, obligation …, according to how it looks. If there is had the possibility of completing the profession or the education of one itself in other countries, always it will be positive. On the other hand, it seems to us that a shame is that the better formed brains emigrate. In our case, it has not been the way chosen. We have searched in our city, routes of self-sufficiency, trying to be as global as possible from the local thing. Jorge Raedó: From exterior Spain is interested or not depending on his economy or his Sun. The tourism still works because the Sun has not entered crisis. In Finland they know little of the Spanish architecture. Now that the crisis also has struck them loudly in the construction, it increases the unemployment and they close companies. 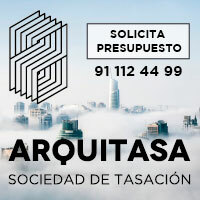 To the being a profession that preserves privileges, for example on having asked for a credit to buy a house, and thanks to the social helps of the State, the Finnish architect suffers less than the Spanish. I have known young Finnish architects who on not having been able to design and construct, obtain scholarships to do other tasks, for example to travel for the world one year investigating. Maushaus: The danger of looking at the uncertain of the future, which does not exist as such until we construct it, is to do an abandon of the current perspective, in it looks always of something better that it never seems to be here. We try to construct a reality, on the basis of our current experiences, incorporating aspects of the past into our present experience. For saying it somehow, we advance ahead as the rower, with the future of backs, seeing the stela of our past to orientate ourselves. Interview realized by Ana Barreiro Blanco and Alberto Alonso Oro. To be grateful for the Anabel, Carlos and Jorge his time and patience but especially his predisposition with this space.